When you’re a parent your needs certainly take a back seat whilst you are looking after your little person's every will, demand and tantrum. It can be overwhelming and sometimes all you want to do is have a hot coffee and pee on your own. Self-care today is still seen as a selfish but honestly, taking some time to do what you want to do and how you want to do it can bring back a frazzled parent in the blink of an eye. But, after putting ourselves on the back burner does anyone really know how to enjoy a bit of "me time" and what you could do?! Here are some self-care ideas to help you find your mojo again! Take a long bath on your own. It really is amazing to take a bath on your own surrounded by candles and not bath toys or an inquisitive toddler! Read a book. When was the last time you put your phone down and turned the TV off and just read a book? Go make yourself a warm drink! Yes, warm... as it was meant to be enjoyed! Bing watch a series and no we don't mean Paw Patrol! Enjoy a treat! Box of choc? Your fav sweets? A cream cake? What's your vice? The only rule you don't share it! Listen and dance to a song you love (no baby shark!). Take a nap! It is literally perhaps one of the best feelings in the world to wake up from a well-rested nap! Go shopping on your own. Can you remember what it was like to go shopping on your own with no little people and just for yourself?! Light a candle it is funny how something so simple can help alleviate the stress of a tiresome day with the kids! When all else fails, grab your favourite tipple because at times only a gin will do! We want to hear what you do to give yourself a bit of me time and self-care? How often does it happen? Not as much as it should? Look after yourself, you need to if you want to look after the tiny demanding versions of yourself you created! Although not always the most comfortable period of a woman’s life, pregnancy is truly magical. To help these exciting nine months go by as easily as possible, i’ve made a list of the eight most essential things all Norfolk mums should have when they’re expecting. Using specially formulated oil throughout your pregnancy can help to maintain your skin elasticity, minimising and even preventing stretch marks. Invest in good quality oil as soon as you know you’re pregnant and keep using it until after the baby is born for best results. Jan is an ex-midwife and super lovely. Most high street maternity wear is fairly samey. You’ll see a lot of stripes and dark colours but very few stylish pieces of clothing. If you want maternity items that are comfortable and eye-catching, take a look at the Esme Dresses collection. 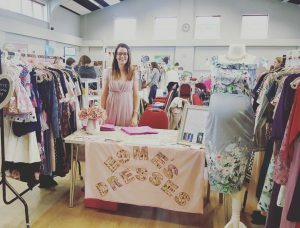 Get in touch with Laura and she can show you her wonderful collection. Pregnancy yoga offers mums to be a fantastic chance to relax, unwind and prepare their bodies for childbirth. It’s also a great way to meet other mums in your local area. Both Pregnancy yoga with Jackie at the Orange Grove Clinic and Yoga Bumps are perfect for mums to be in Norfolk. Pregnancy can be tough on your body, so why not reward yourself with a pregnancy massage? Designed to help ease aches and pains and leave you feeling revitalised, it’s an absolute essential for all pregnant women out there. In the later stages of pregnancy, sleeping on your side will be your only viable option. A specially designed pregnancy pillow will make this a lot more comfortable and make it a lot more likely you’ll get a good night’s sleep. I loved mine and then used to get cosy when feeding my babies. Although sick bands may not work for women with severe morning sickness, for those just feeling a little queasy they can offer real relief. Antenatal classes are a fantastic way to prepare your body and your mind for being a mum. About Birth and Babies offer free early pregnancy classes all around the Norfolk area. Hypnobirthing is growing quickly in popularity with mums to be across the country. Many women find it helps to make the birth calmer, easier and less traumatic for both mum and baby. Contact Jenni at Normal Birthing or Jackie at the Orange Grove Clinic to find out more, both are great. And if you want lots of information on what’s on, local baby groups pleas check out Norwich Mumbler. Another thing to consider to do before your baby arrives is book your newborn photo shoot. This wonderful time is all too fleeting, so make sure you capture it before it’s too late. I do sometimes have the odd last minute slot so if baby is here lets chat! I can’t believe it's been nearly a month since I attended my first ever yoga retreat and I can’t believe I waited this long to go on one in the first place! In return for documenting the weekend retreat for the Orange Grove Clinic, producing photos they plan to use in their marketing going forward, I spend two nights at the stunning Ringsfield Hall Eco Centre in Beccles, Suffolk. en’t practiced yoga as much as I would like and I have to admit I was a bit nervous, as I was when I attended a mini day retreat back in December. But like last time, there was no need to be nervous. Yoga expert Jackie Heffer-Cooke made me feel at ease as she has this relaxing and calming aura about her, and from the second I stepped through the door of Ringsfield Hall I felt instantly chilled and so excited for 2 days and 2 nights of child-free chilling out. Please don't get me wrong, I love my kiddies, but this Mummy needed some time off to recharge her batteries and immerse herself in the benefits of yoga. The sun was shining and there’s no pressure to stick to a strict itinerary. The weekend included 8 hours of yoga, including some guided meditation, but you could dip in and out if you fancied doing something different. You could sit back and soak up the sun, read your book in the beautiful grounds – whatever you wanted to help you relax. The classes were great, as a fairly newbie yogi I loved every lesson and although you could sit out a session if you wanted I didn’t want to miss a single second! At some points during the free time we had, you could go a whole hour without seeing anyone else if you wanted. The yoga was a blend of hatha (all asana), vinyasa, yin and bhava. We also explored a bit about the history of yoga and the philosophy behind it which I found really interesting. Jackie focussed on how we can use yoga to help us in our everyday lives as well as helping us unwind for the weekend. The shared accommodation was in a beautiful building packed with character and it really felt like a home away from home. 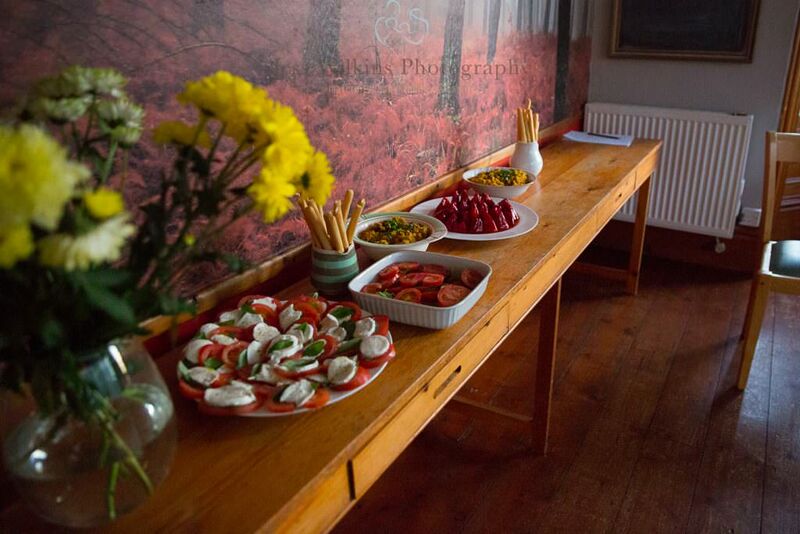 The food was all prepared by Catherine Jeans the Family Nutritionist and it was very tasty and nutritious – just what my body needed. The retreat was great for beginners as well as the more advanced and I never once felt self-conscious performing poses in front of people much more experience than me. Jackie explains the how and why of yoga in a way that makes sense and just clicks. As a self-employed mum of 2 children I felt a tad guilty at first, leaving my two all weekend. But I knew all along they wouldn’t mind and would revel in spending some time with their Daddy. I really felt the benefit of attending my first ever yoga retreat both during the weekend and after – I felt free of my busy mind, I forgot about chores and enjoyed the yoga, the awesome sunshine and the lovely company of the other yogis I met. I would hand on heart recommend this retreat and will be booking up for next year, check back on their website for booking details. webiste for booking details. 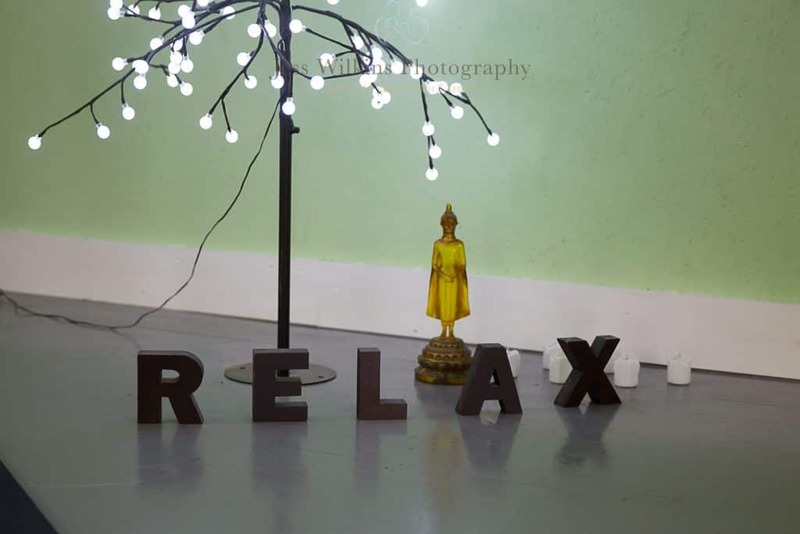 Yoga Mini Retreat Norfolk -a beginners guide! I started this blog on the evening before my very first Yoga Mini Retreat with Jackie from Yogabuds or also know for her wonderful co-owned business The Orange Grove clinic. I am feeling a little nervous because despite it being on my list of things to do this year I haven't been to many yoga classes. I am feeling a little nervous because despite it being on my list of things to do this year, I haven't been to many yoga classes. I think I can count on one hand how many yoga classes at my local gym i actually went too. I wanted too, but something came up or it was fully booked by the time i knew i could go. So why did i book onto the Yoga Mini Retreat ? Well firstly Jackie! 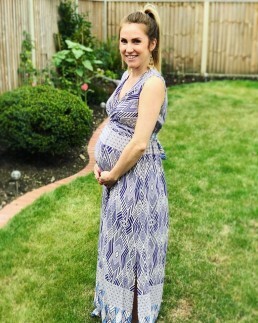 I had attended Pregnancy Yoga with her about 4 years ago now (yikes time flies as a mum of 2) and i loved her approach and attitude . 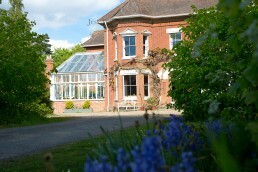 I know it will be relaxing it is set at stunning Caistor Hall in Caistor St Edmunds Norfolk . I have been before to chat to some of Jackie's ladies, and loved the tranquil setting. Jackie knows her stuff, I wanted this retreat to kick start my yoga and know i will find it informative, challenging (well for me) but also fun! And she promised me it is suitable for total beginners. It means I can see what I am signing up for when I start her weekly YogaBuds class in the new year. She teaches at various locations across Norwich and Norfolk. I need the break! November and early December is my busiest time, and with the holidays approaching i wanted some 'me' time . A Yoga Mini Retreat including lunch made by someone else really really appealed to me! I went along and had an amazing time! I met lots of lovely ladies of all ages . A real genuine mixture of lovely warm people. Some like me had not really tried yoga before and some ladies were more experienced. It was not intimidating as everyone could go at their own pace, no one was looking at you. And I didn't feel being a beginner, that I was lagging behind. As everyone quite rightly, is focusing on themselves and enjoying the day. Jackie was very good at explaining what moves to do, why we were doing them and the benefit too. For me, this was great to make sense of it and helped me coordinate my body better. she also reminded you to 'breathe' which may sound silly to some but I need to be reminded. We had a yummy lunch and everyone was chatty and friendly. The afternoon focused on more gentle yoga with some fab relaxation, which again is all new to me. It was sooooo good for me to quieten my busy mind and chill/ breathe. I came away totally calm, relaxed and recharged. I loved it and really believe anyone wanting to try yoga should attend a class with Jackie or get on the next retreat. It is great for total beginners and for any ablity . As Jackie said on the day , having some 'me' time is not selfish. It was very much needed , and I cannot wait for the weekend retreat - yes 2 whole days child-free& full of yoga eeeek!